Does all your cabinetry need to be 2PAC - a question we're often asked by clients. In short, no. 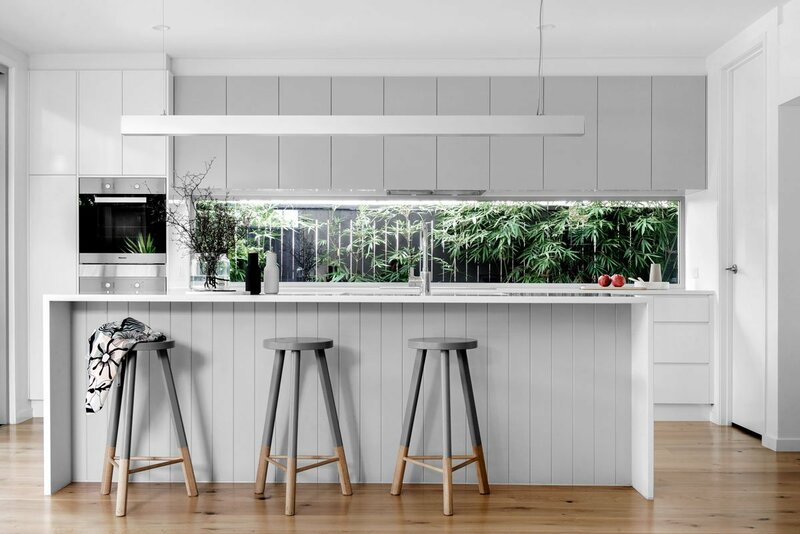 Not all your cabinetry needs to be finished with 2PAC, particularly if you're designing a kitchen that incorporates different shades of colour and finishes. The kitchen cabinetry pictured above has been designed with a combination of both laminate and 2PAC finishes. Overhead cupboards have a 2PAC finish in Dulux Silkwort to enable an exact colour match with the paint on the feature VJ panelling to the island bench. The remainder of the kitchen cabinetry has been selected as a laminate in Polytec Natural White, to keep costs to a minimum. Kitchen designed and built by Kalka. Photography by Cathy Schusler. 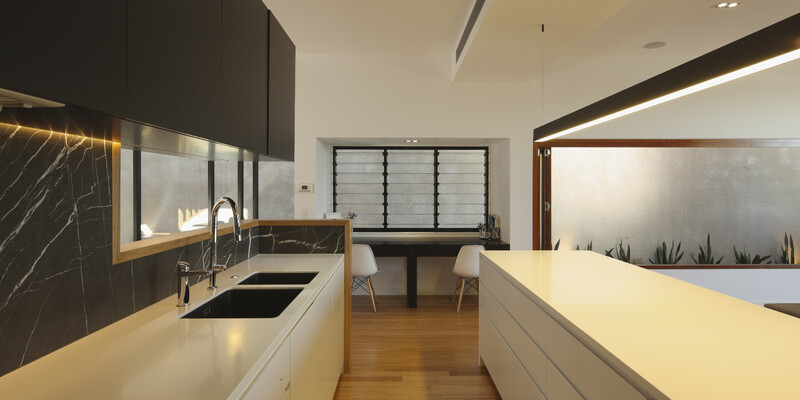 Seamless white 2PAC under bench cupboards and drawers with shark nose edging have been used in this modern black and white kitchen. 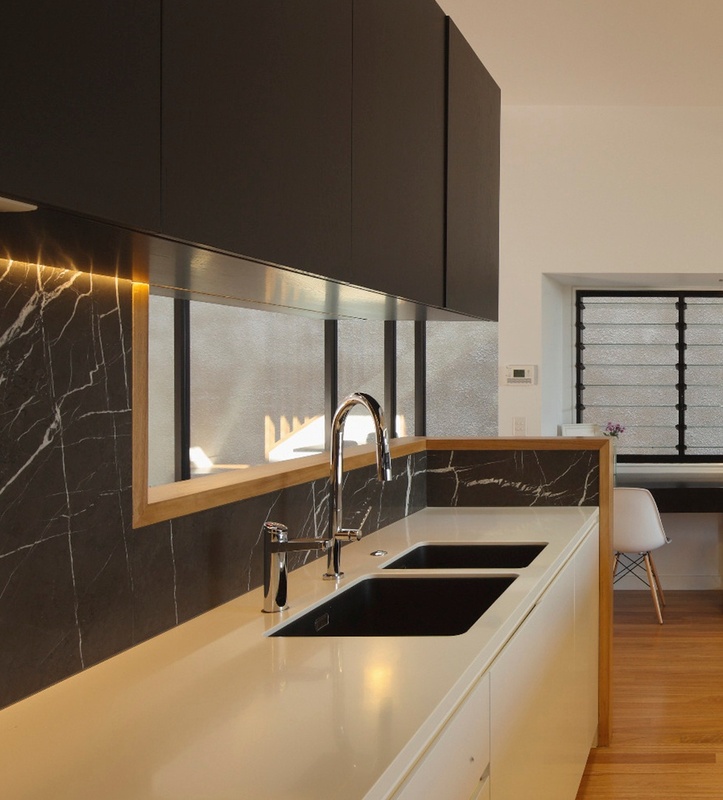 Overhead cupboards are finished with a black stained veneer to provide texture and interest. 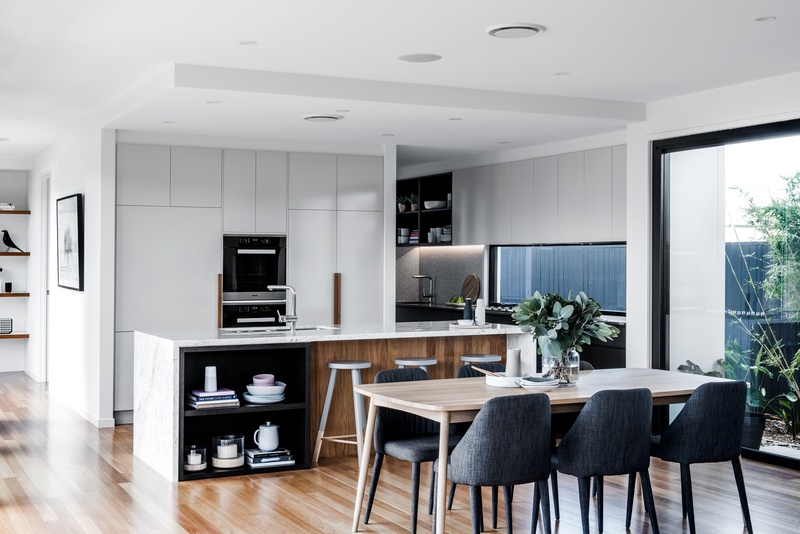 Kitchen designed by Shaun Lockyer, built by Kalka, Photography by Scott Burrows. 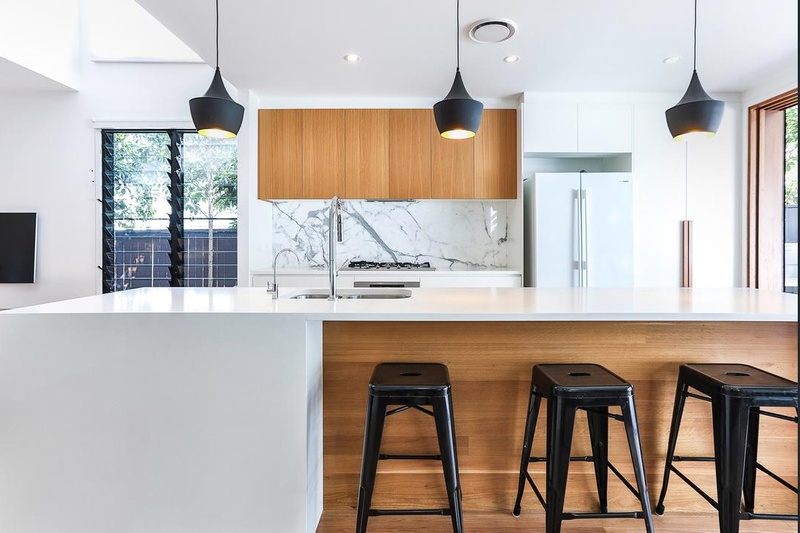 Modern Queensland style kitchen featuring white laminate below bench cupboards and timber look laminate over head cupboards. Kitchen designed and built by Kalka. 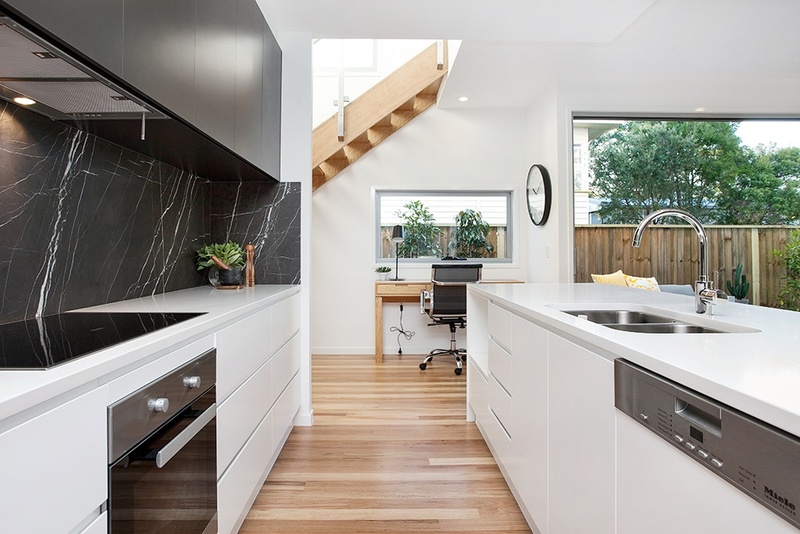 Black and white kitchen with laminate cupboards and doors. Kitchen designed and built by Kalka. 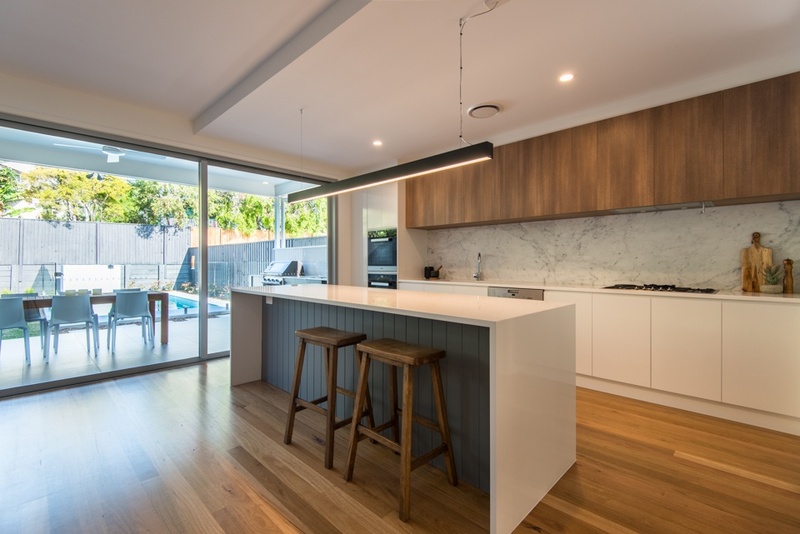 Kitchen featuring white 2PAC cupboards and doors with blackbutt veneer overhead cupboards. Kitchen designed and built by Kalka. Contemporary kitchen featuring laminate cupboards and doors with various finishes and colours. Kitchen designed and built by Kalka.